Be one of the few, the proud, the playful! Join the Play Ambassadors program and help spread the word about the value of play. 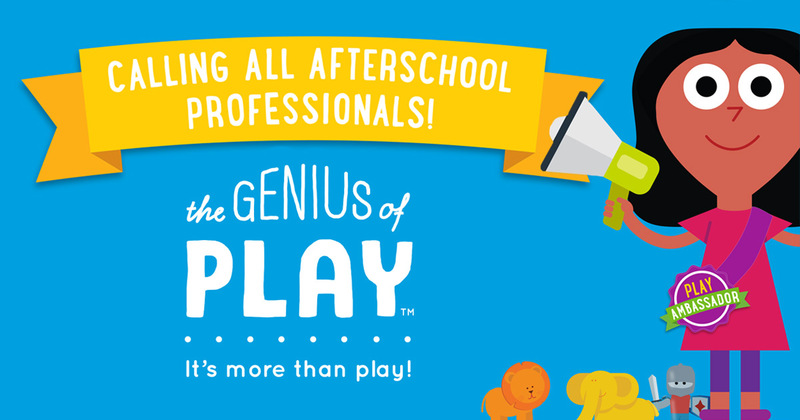 The National AfterSchool Association and The Genius of Play, an initiative to raise awareness about the benefits of play, are excited to announce this special opportunity for our Executive Members. Play Ambassadors will receive access to the latest research, expert tips and more about how play helps youth develop social, emotional, cognitive, physical, communicative and creative skills used throughout their lives. Play Ambassadors will help to develop others and influence afterschool programs, communities and kids through play! Questions? Please refer to our FAQ page. Ready to Learn More About Play? If you are interested in reading more about how play is evolving with the growing influence of digital technologies, check out the new special report by The Genius of Play, Play is the Secret Sauce for Raising the Next Generation of Digital Innovators.